Update: The PlayStation Blog post has removed all mention of New Game+ and the Ultimate Difficulty. It’s unclear why these references were removed, so there’s a chance these features may not arrive next week as originally mentioned. We’ll update with any additional word from Sony. 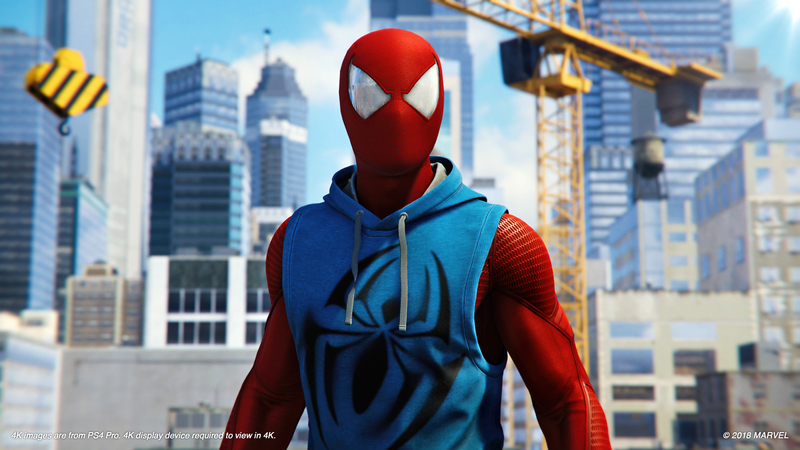 Original: Marvel’s Spider-Man is getting its first batch of DLC, “The Heist,” next week. But that’s not all Spider-Man fans have to look forward to. On October 17, 2018, update 1.07 arrives, and with it comes New Game+ and an Ultimate Difficulty mode. Here are the details from the PlayStation Blog. [New Game+] allows you to play the story and all activities in the open world again with all of your unlocked suits, skills, gadgets, mods, and benchmarks from the beginning. Additionally, two new trophies will be added to the game for completing the story via New Game+ and on Ultimate Difficulty, respectively. This update also comes with the usual fixed bugs and some added features. For example, Insomniac heard what players had to say and is making the Friendly difficulty level, the easiest one, a little more friendly. You will now be able to rotate stickers in Photo Mode. Update 1.07 is free and can be downloaded tomorrow. For even more Spider-Man content, you can check out the paid DLC, starting on October 23 with The Heist: featuring Black Cat, new story missions, enemies, crimes, challenges, trophies, and even suits.